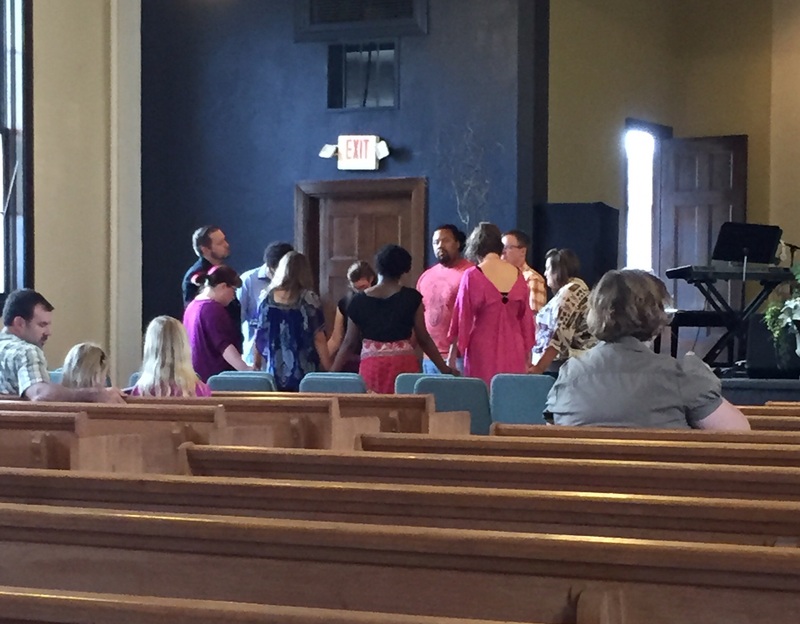 New City Fellowship sought God in prayer before starting the church. In 1992, an answer came out of those prayers–a church was planted going beyond the words, mere platitudes, for racial reconciliation. How many times have I heard that Sunday morning is the most segregated hour in America. New City Fellowship defies this sad reality of segregation born out or a long history of racism in the US. I expected I would be worshipping with African Americans and whites at their church service on a Sunday. I was excited because I got more than I expected that morning in St. Louis. I went straight from the aiport to the church and walked into an international congregation. We worshiped, singing together in Swahili. And to my surprise, I found myself sitting in the back of the church surrounded by a large Burmese family Of about twenty people. One of the Burmese men read the scripture in his own language. And the bulletin included the scripture in both English and Burmese. I stumbled onto the church through a quick search on-line. And I was blessed. My prayer is other churches around the country will follow New City Fellowship’s lead! I know three things about the Hill District: it has a long history, is full of many churches, and is an African American community. 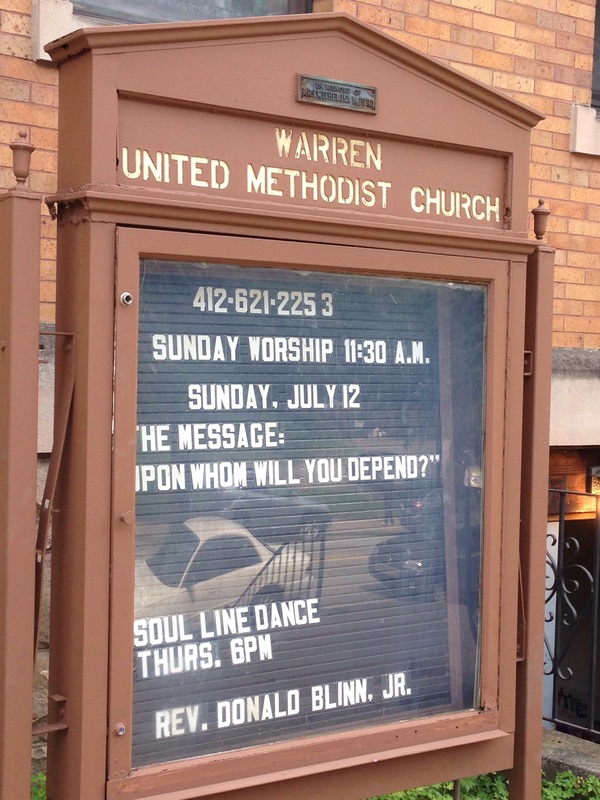 I attended Warren United Methodist Church, one of the many historic African American churches in the Hill District. On Sunday, July 12, 2015, we lifted our voices in praise to God. After the service, I met many of the members and visitors, some of whom I’d met many years ago. Many thanks to Don Blinn–the senior pastor, Arletta Williams–lay liturgist, and Emma Greene–former pastor for a warm welcome.